Four bidders have pre-qualified to compete for the contract to build an extension of Edinburgh’s tram network to Newhaven. 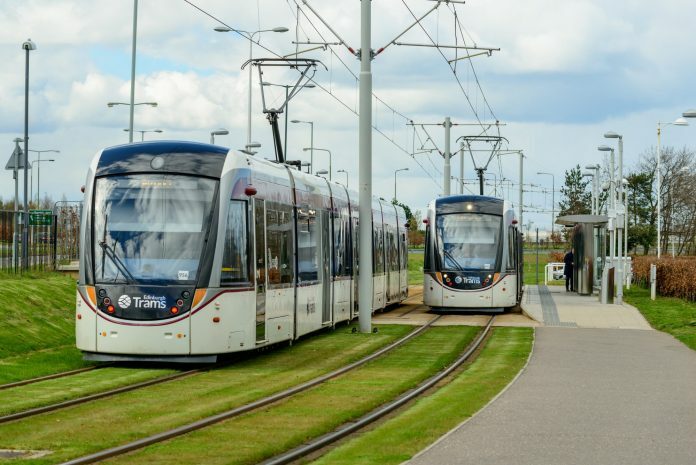 The City of Edinburgh Council said there was “significant local, national and international” interest in the project to extend the city’s tram system from York Place through Leith to Newhaven. Newhaven was included in plans for the original network, which opened in 2014. But rising costs during its construction resulted in the line being shortened, terminating at York Place in the city centre. The Infrastructure and Systems contract includes the design and construction of all track, overhead line, tram stops, systems and road infrastructure between York Place and Newhaven. The successful bidders will be invited to tender in mid-April. Transport Convener Councillor Lesley Macinnes said: “When the Outline Business Case (OBC) was approved by council in September 2017, we pledged to test the OBC with a robust procurement process before reporting back with the Final Business Case. “Our project team – the same team who successfully delivered the tram to York Place following mediation – has worked very closely with the market over the past 18 months, developing a contract strategy that meets market expectations and the requirements of the council.